Got your eye on a shiny new washing machine? A big ticket purchase, washing machines tend to be bought by wide eyed, new homeowners or in a state of distress to quickly replace a broken model. Luckily, thanks to our pick of the best washing machine deals, that doesn't have to mean overspending. We've scoured offerings from the top washing machine retailers in order to present you with some of the best washing machine deals available, right now. Offers cover everything from quiet washing machines to freestanding, budget tumble dryers, and are updated regularly to ensure you can get your hands on the best deals currently available. For more washing machine options, browse our best washing machine buyer's guide, and read our guide to how to buy a washing machine and tumble dryer for buying advice. For more washing machine buying guides, as well as advice and inspiration for other household essentials, take a look at our appliances hub page. Check out all the latest bargains on our deals page. Find more cheap washing machines in our buyer's guide. From washing machines to tumble dryers and even washer dryers, shop for a bargain at Hughes. If you didn't find the washing machine deal you was looking for above, don't worry, we've got tons more cheap washing machine and tumble dryer deals below. There are lots of things to consider when choosing the best kitchen appliances. 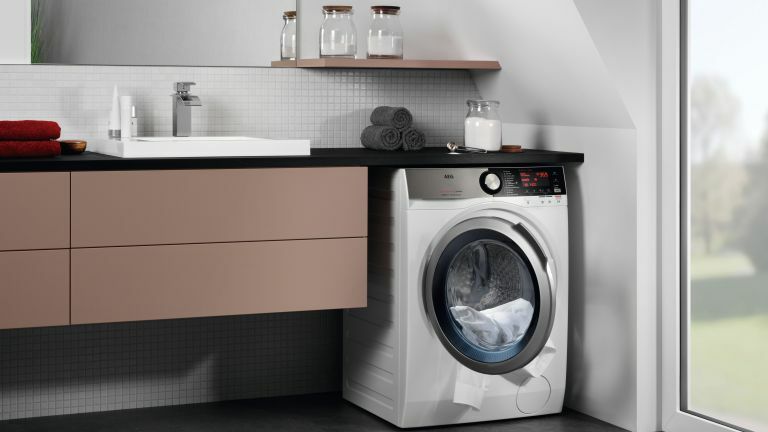 The first is an easy choice: will your washing machine be freestanding or integrated? For those who don't like to have large appliances on show, you might want to consider an integrated washing machine as part of your kitchen design or utility room planning. And if your washing machine is to be in an open-plan kitchen, ensure it has a Quiet Mark (in other words, it runs quietly). However, a freestanding washing machine can be a cheaper option than an integrated design. The average size of these washing machines is usually around H85cm x W60cm x D55cm. For small kitchens, slim depth washing machines are a good choice, although bear in mind they will have smaller wash load capacities. Other things to note are its spin speeds and the capacity it can hold in kilograms. A washing machine with a capacity of 6kg to 7kg is great for one or two people; 8kg will suit an average family; 9kg is for a large family. For those who do several washes a day, or want to wash duvets, delicates or anything else you can't put in a normal wash, check for features such as eco cycles, special cycles or anti-allergy options. A time-saving option is also a handy option to have. Choose a machine with a high spin speed if you'll be using a tumble dryer, too. It's more economical to extract water from spinning than from tumble drying. Top of the range washing machines tend have a long spin cycle for cottons for efficient water extraction, and an interval spin for synthetics that reduces creasing. Be sure to check the water consumption as well as half loads, timer delay, sensor washing and auto detergent dispensing, which detects how dirty the clothes are and adjusts the programme and detergent accordingly for the most efficient wash. Aim for a washing machine with an A to A+++ energy rating, bearing in mind that the more expensive the washing machine, the higher its grading, as it will include a number of energy-saving features, as mentioned above. For tumble dryers, you're either looking at a dryer-only or a washer dryer combination. Want to set your machine to 'start' while you're out? Look for a smart machine you can control with an app on your phone.